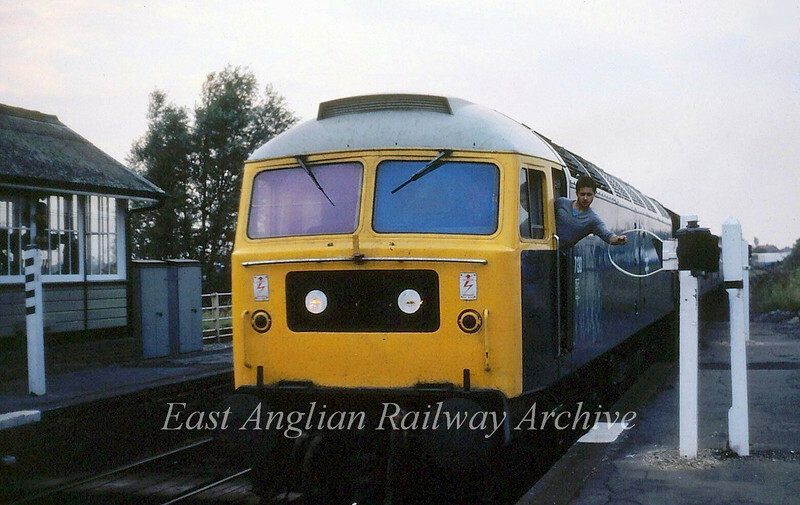 The second man on 47130 prepares to grab the single line token for the Soham to Chippenham Junction section during a period of engineering work on one of the tracks. Another age old custom rapidly disappearing from the railways today. The working is the 1515 Manchester Piccadilly to Parkeston Quay. 20th September 1980.